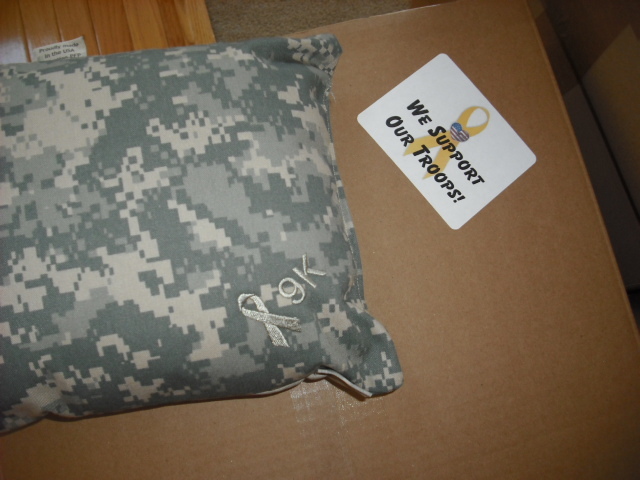 The 9,000th pillow is shipped! Here’s the 9,000th pillow we’ve made. It was completed during a sew-in at Resurrection Church in Portsmouth VA, February 15. 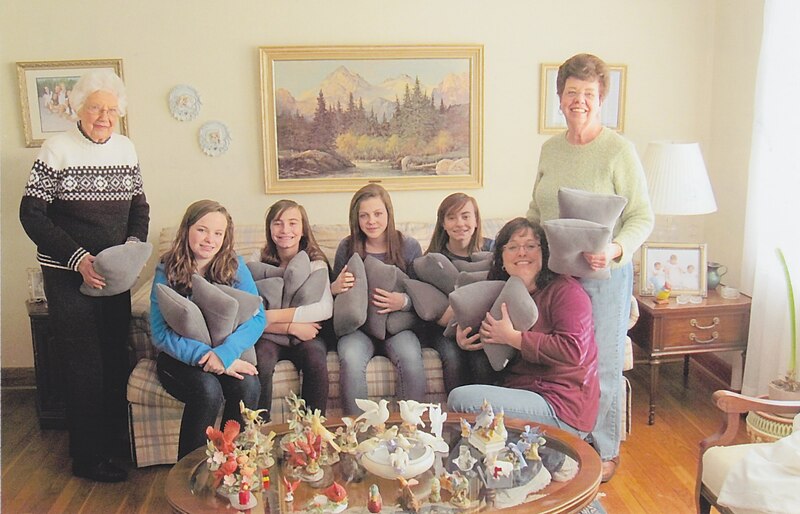 My new friend, Pat Lucado, her family and friends spent the day earlier this week finishing fleece pillows that will shortly be sent to Landstuhl. From left: Rose Dolan, Madison Hatfield, Morgan Hatfield, Emily Haney, Mallory Hatfield, Beth Hatfield, and Pat Lucado. The girls all did a fantastic job and the pillows look wonderful! Great job ladies, and thank you!!! As much as it pains me — I’m going to have to rebuild our blog. First things first — trying to recapture all the posts from the last year and a half, since we began Operation PFP. My oldest child, my hero, is coming home after a 12 month deployment to Afghanistan as an Army Infantryman. We’ll fly to FT Drum, NY, in about a week to welcome him and his Brigade home from a grueling year away from home. Nick served with over 3,000 of his closest buddies in a God forsaken land. For a year, they sloshed through snow trying to ward off frostbite during the winter, they tried desperately to stay hydrated in the sweltering heat of their vehicles in the summer, they ate nothing but MREs for weeks on end, they slept, when they could, in the dirt, sand and rocks. These brave young troops stand for everything that makes America the greatest nation on the face of the earth — honor, integrity, and sacrifice. And to the families of our lost brothers; Dennis Hansen, Darby Morin, Brian Wolverton, Alexander Miller, Justin Coleman, and Eric Lindstrom, you are, and will stay, in our thoughts and prayers. The tears we shed as we welcome home our troops are as much for your sons as for our own. Our friends at Buildasign.com are wonderful! We love to see Americans support our Troops – and we ran into a company that deserves to be noticed for their support. Buildasign.com, headquartered in Austin, Texas, offers discounts to military families for large, vinyl banners to welcome our troops home. We found their site, and within minutes using their simple point-and-click web site, created a beautiful 3′ x 6′ banner to welcome our Soldier when he comes home in January. Not only that, but they did it for free. 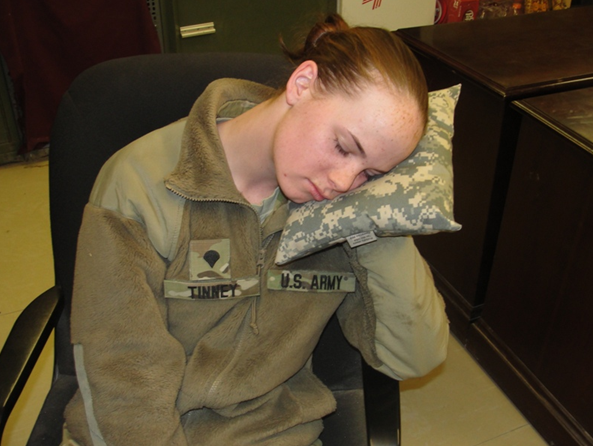 They volunteered to make up to 20,000 banners for families to welcome home their troop. And they do it all for free. They charged us no setup fee, put our Soldier’s picture on the banner, along with big, bold, bright letters. We gladly paid them to put grommets in the corners, and we can hang it in our yard (and on the flight line when his plane lands!) with no worries of wind or rain. These folks are something else. They can create just about anything you can think of, in just about any size, with just about any text — from magnets to aluminum signs to license plates. They do it really good, and they do it really fast! From our military family here to the family at Buildasign.com — Thank You!